Federal officials have “grave concern” about the continuing problems North Carolina is having in its food stamps delivery system, and threatened in December to suspend the state’s funding to run the program. 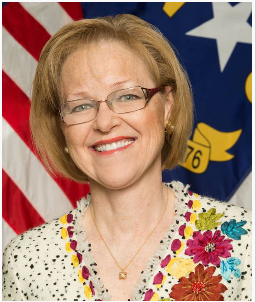 N.C. Health and Human Services Secretary Aldona Wos got word of the potential suspension in a Dec. 11 letter sent to her by Donald Arnette, a regional administrator of the U.S. Department of Agriculture’s food and nutritional safety division. “This letter serves as advance notification that the North Carolina Department of Health and Human Services (DHHS) may soon be subject to the suspension or disallowance of administrative funds,” Arnette wrote in the letter. In a Dec. 23 response provided by DHHS, Wos told federal officials that it was working to resolve the issues by working closely with social services workers on the county level. A spokeswoman for USDA’s Food and Nutrition Services said federal authorities were still looking into the matter and had not made any determinations about what would happen to North Carolina’s funding. Thousands of poor families were unable to receive food stamps last year when DHHS implemented a new computer system, NC FAST, resulting in a spike of demand for food at emegency food pantries in the state after many families were left without access to the federally-funded food vouchers . In an investigation last month, Raleigh television station WRAL found the agency downplayed the severity of the crisis. The delays of food stamps are one of several issues the agency has faced fierce criticism over under the leadership of Wos, a Greensboro doctor and prominent Republican fundraiser appointed by Republican Gov. Pat McCrory last January to run the agency. USDA, leaning on estimates provided by DHHS, indicated in the Dec. 11 letter that 20,000 families were still experience delays in December, with nearly a third waiting three or more months for their food stamps. N.C. Policy Watch obtained a copy of the letter (see below) from members of the N.C. General Assembly’s black caucus who have been critical of the health agency’s performance and Wos’ leadership. State Rep. Garland Pierce, a Scotland County Democrat and head of the legislative black caucus, said a copy of the letter was given to Democratic lawmakers by a unnamed citizen. They did not have copies of any responses DHHS might have sent to the federal agency. Members of the black legislative caucus are holding press conferences in Winston-Salem, Charlotte and Raleigh tomorrow to discuss the letter and other DHHS matters. Last week, DHHS disclosed that it had sent nearly 49,000 Medicaid cards containing the private medical information of children to the wrong addresses. The agency has said the mailings violated federal health privacy laws, and violations of that type often result in hefty fines. McCrory has defended Wos’ performance in the year she’s run the largest state agency, and has said the $18 billion agency was in bad shape when he inherited it from his Democratic predecessors. Note: This post has changed from its original form to include the Dec. 23 response HHS Sec. Aldona Wos sent to USDA. Questions? Comment? Reporter Sarah Ovaska can be reached at (919) 861-1463 or sarah@ncpolicywatch.com. Just wait five minutes, McMoron’ll defend her again. Jesus. Can we please, please get our $1 back? These people all belong in prison. Especially the one’s that brought us to this lowly state of affairs. This computer system has been in the works since what…2003? LSD, remember now, you aren’t allowed to go back past the last election, it’s all the fault of the state GOP. Not bad for someone who terms the current economic state “the Obamaa Economy”. It sounds like they are messing it up on purpose. I guess I am not allowed to go back beyond the last election because it does not fit the narrative. But thanks for the ad hominem attack on me rather than presenting evidence that this problem was not in the works since about 2003. Good try though…not. And when Pat and Co. has had 6 years and things are not turning around at all…then he can own it. I think Obama has had plenty of time to turn this thing around. Oh, and in NC in spite of Obama the current NC administration has done great things…heck we have added jobs and the unemployment rate is decreasing rapidly is just the first effect. I just made an explanation on how to save out of poverty, for those interested. Let me know what you think. Take care. Are you kidding AYK. Did you actually read your comment? The unemployment rate is not solely dependent on who is filing with the employment office and getting UI payments. There are other surveys of entities such as actual employers and households.